Roman Roads Media has produced a homeschool curriculum that I was extremely excited about trying! Old Western Culture: The Greeks is a full year course that explores history, theology, philosophy, poetry, and art from the perspective of the greatest works of influential literature of the Western world. The term "Old Western Culture" is a term coined by C.S. Lewis to describe the fabric of ideas that shaped Western Civilization. The course is available in DVD and online streaming formats. I was sent Year 1: The Greeks, which is a full year course. I received the self paced online streaming format. 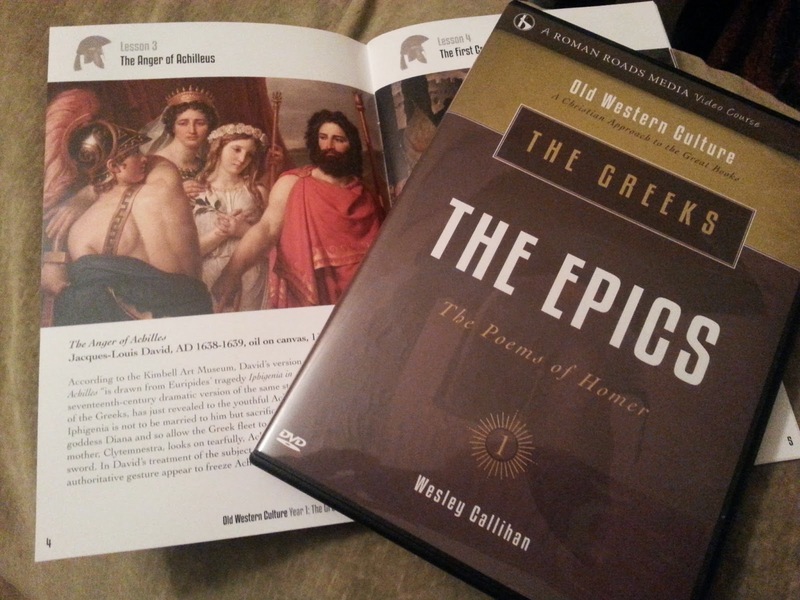 I was also sent a DVD of Unit 1: The Epics so that I could try out both formats. Both the DVD and Online Streaming courses include Digital copies of the Student Workbooks but you can purchase a physical copy for $48 (includes 4 workbooks - 1 for each unit). Both formats and extras can be purchased at the Roman Roads Media website. The full one year Classical Christian Homeschool course is broken down into 4 units with each unit lasting 9 weeks. You can find an outline of the 12 Lessons in each Unit here. Each Lesson is approximately 30 minutes each. Old Western Culture is intended for mature and discerning students. We recommend this course for ages 14 and up. The course will deal with mature themes such as paganism, sexual immorality, battle scenes (mostly in actual reading), and classical paintings. Old Western Culture is meant to equip your child with a Biblical lens from which to process these themes. 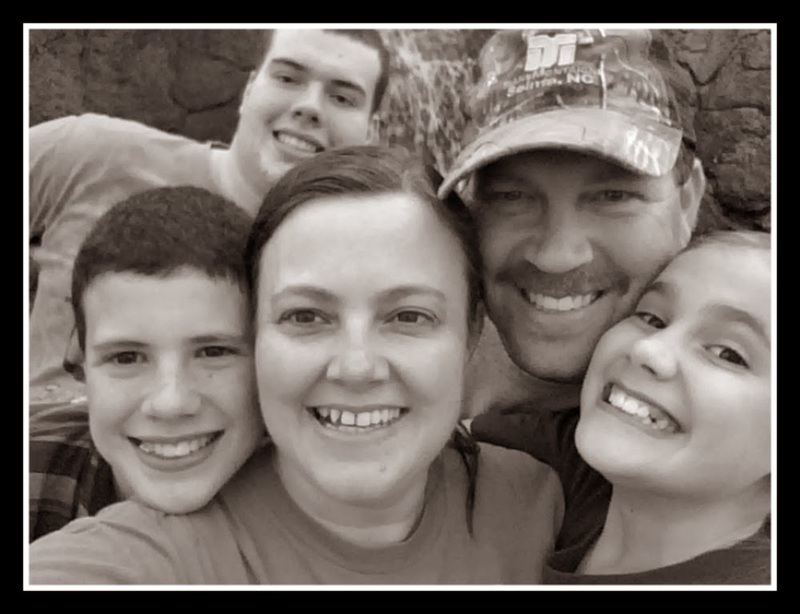 We assume your child has a working knowledge of the Bible and basic Christian doctrine. Advanced readers will have an advantage since the reading load is relatively heavy. I chose to go through this curriculum myself and test drive it before introducing it to my children. We follow what I call an eclectic classical homeschool style. I never experienced reading any of the Great Books in school so I wanted to offer that advantage to my children. I must admit though, they intimidate me greatly! I have a hard time understanding them and therefore teaching them is even more intimidating. My children know my homeschool philosophy is that we NEVER stop learning so just because I don't know something doesn't mean we cannot learn about it. That is often when we begin our journey of learning together! I was hoping that this curriculum would be just the aid I was looking for. I was looking for something to help me teach my children while reading some of the Great Books. The student questions in the online streaming format were multiple choice questions while the ones included in the PDF with the DVD I received were writing the answer out. I answered the multiple choice questions in the online streaming format and had difficulty so I didn't even try the ones on the DVD PDF! 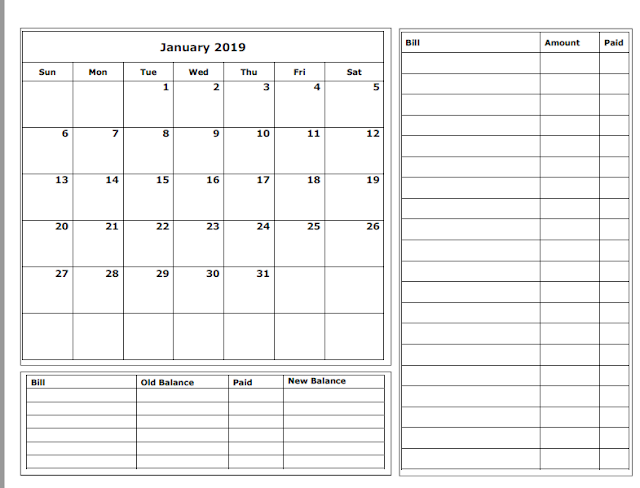 I found that the suggested 9 week schedule included was not too heavy of a course load considering you are working towards 2 full year credits for high school. For comprehension reasons however, I would have to take the course at a slower pace than suggested which is truly the beauty of homeschooling. While this curriculum did contain what I was looking for - someone to teach my children and myself more about the influential works of art from a Biblical worldview, it was often times above my head. Wes Callihan is a master story teller with so much knowledge and there is no doubt that he has researched what he is teaching thoroughly. I had to watch several of the lectures over even to answer some of the questions myself. This curriculum is recommended for ages 14 and up. I felt like it could pass as a college course! With that being said, I can tell you that I did learn so much from this curriculum. 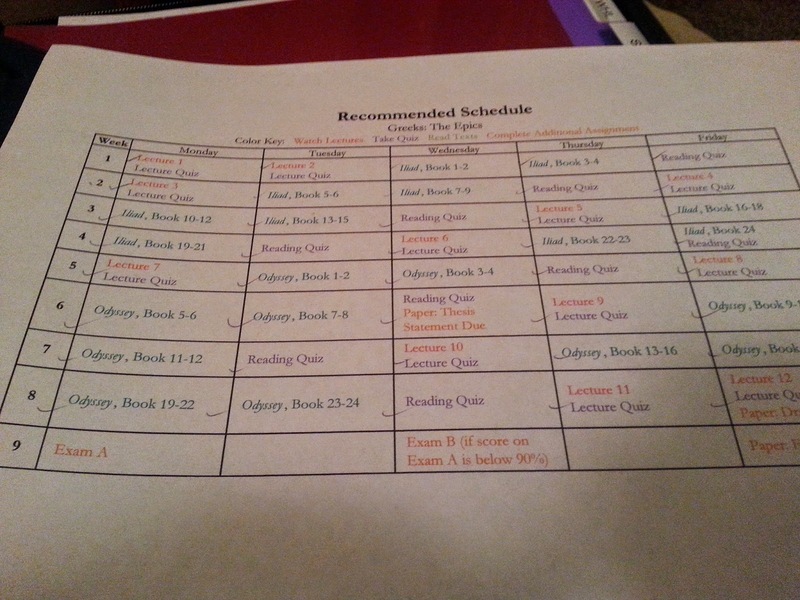 I would need to slow down the schedule for myself so I am almost certain I would have to do the same for my children. I do not think my 8th grader or 11th grader would be ready for this curriculum as of yet. Neither are advanced readers. Having said that, I do think this would be a great curriculum to go through together as a family. Mr. Callihan speaks so eloquently on these topics and always keeps a Christ-centered approach. We can learn much from past mistakes and see clearly where God was left out - much chaos reigned. Teaching that to the next generation is not an option - it's a must for Christians. To approach such pagan instruments is often difficult so this is a valuable resource for those intimidated by the subjects like I am. Here is a book list of the works covered (again these are included in digital etext versions) but you also can purchase your physical copy as well. You can find the links to these books here. You can also find several samples here so you can decide for yourself if this curriculum is right for you. 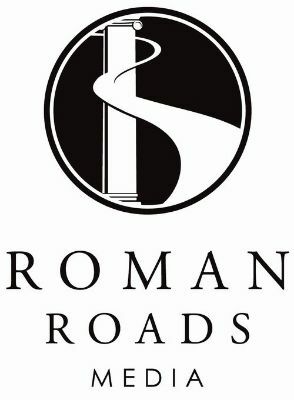 See what my fellow crewmates thought of this curriculum and others offered from Roman Roads Media by clicking the banner below.